Intricate wooden sculptures and AR – how we condensed the essence of the UK’s most progressive shopping destination into an augmented experience. The Revo Conference – the UK’s largest retail property event headed to Liverpool in 2017. One of the key presences at the show was Liverpool One, the shopping destination that has helped to redefine Liverpool city centre. Draw & Code were appointed to create an augmented reality app that helps to tell the story of Liverpool One. 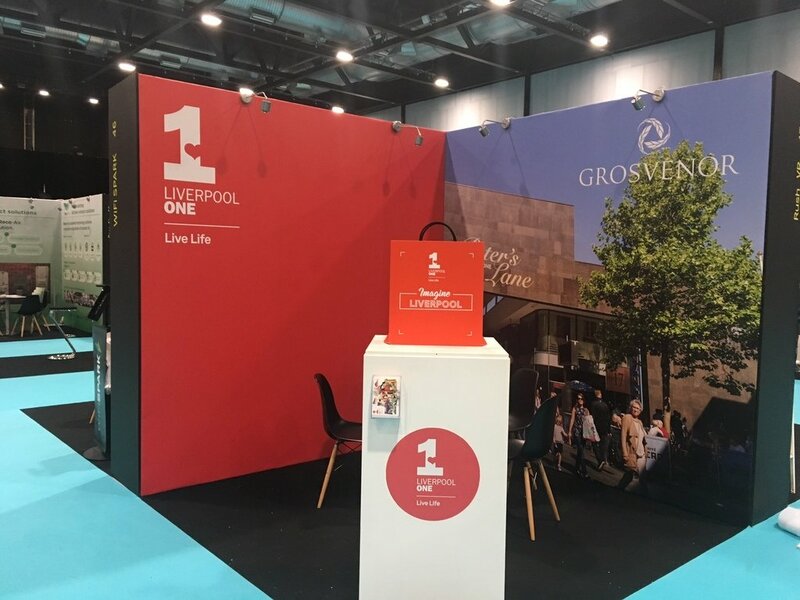 The brief was a tricky one – to create an augmented reality app that brought oversized replica shopping bags to life around at the trade show and around Liverpool One itself. Revo is an annual event that tours the UK, having twice visited Liverpool, including in 2008 – the year that Liverpool One opened. As the city’s most prestigious and successful retail development, Liverpool One will have a starring role in the exhibition, hence they wanted a stand-out experience to mark the occasion. We were briefed with creating an Augmented Reality app that brought physical items to life, these physical items being a shopping bag that represented Liverpool One’s shopping centre. The aim of the augmented reality experience was to aim your marker at the Liverpool One shopping bags to trigger animations and information to be overlaid relating to the Liverpool One Revo event. Unity 3D is a our usual tool of choice, but for this project we started with chisels and saws. The shopping bags had to be able to withstand outdoor autumn weather as the bags were situated among specific locations in Liverpool One shopping centre. Creating the bags was no easy task. Liverpool Scenic, experts in set and prop design, were tasked with creating the realistic-looking bag replicas. They opted to recreate the folds that would naturally appear in a paper or plastic bag by folding the wood. Yes, you read that correct, they folded solid wood, going through 20 prototypes in the process before perfecting the process. At 50cm tall these sculptures were mounted on plinths with the Liverpool One Revo designs resplendent upon them. From each bag emerges a collage of scenes from the city and photoshoots of products. Constructed in Unity 3D, there are parallax effects and real depth to the collages in an attempt to capture some of the physical presence of the locations depicted. Imbued with a pop-aesthetic, the busy pop-up scenes aimed to tell a story in a single image. The AR approach proved to be the right one – it allowed Liverpool One to convey a lot of information in one place. What’s more, the contextual nature of marker-based AR means that the sense of belonging to a space is maintained – a vital concept to embody for an event like Revo.